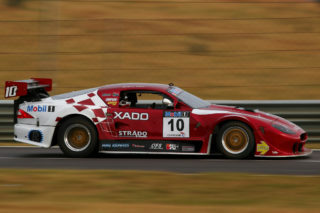 Round 2 of the 2019 GTC2 Championship saw Adrian Wood continue his 100% podium record for the season. 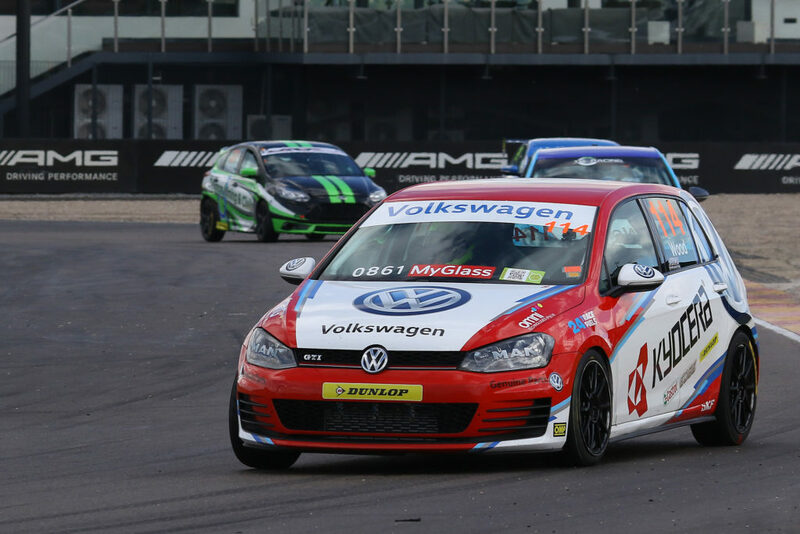 The race weekend held at Zwartkops Raceway on April 5-6 saw the Kyocera Volkswagen Motorsport Golf driver finishing third and second during the respective two races. 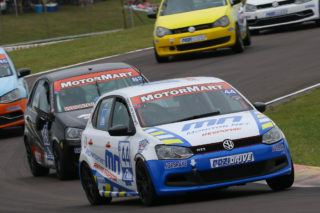 He thereby strengthened his on second place in the championship but losing ground to teammate Brad Liebenberg who took a further two victories. Friday’s first two practice sessions was held in severely wet and overcast conditions which saw Wood closer to Liebenberg on the time sheets than in Round 1. On a drying track, Wood tested an alternate setup and was confident that he would be matching the leading pace come Saturday. Saturday morning’s Qualifying session in completely dry conditions saw Wood experiencing problems turning into the left-hand corners and he subsequently started in third place on the grid for Race 1. Wood made a good start and slotted into second place in the running order ahead of Trevor Bland. Although the team addressed the problems, it was not completely resolved and with the three left-handed corners being consecutive Wood was still at a disadvantage. Bland retook the position on Lap 3 where after Wood successfully fended off challenges from Charl Smalberger to finish the race in third place. From the inverted-grid for Race 2, Wood rapidly made his way to the front of the field. The race was however red-flagged on Lap 2 and a complete restart followed. Subsequently, he would have to make his way through the field again. 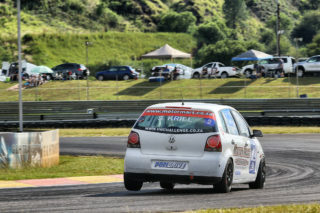 This time round both Wood and Liebenberg made it to the front early on, but heading into Turn 5, it was Liebenberg who held the superior line to take the lead of the race and eventual victory. Wood completed the team’s third one-two finish from four starts for the season. Adrian Wood would like to thank his partners Kyocera Document Solutions and Volkswagen Motorsport South Africa for the continued support. 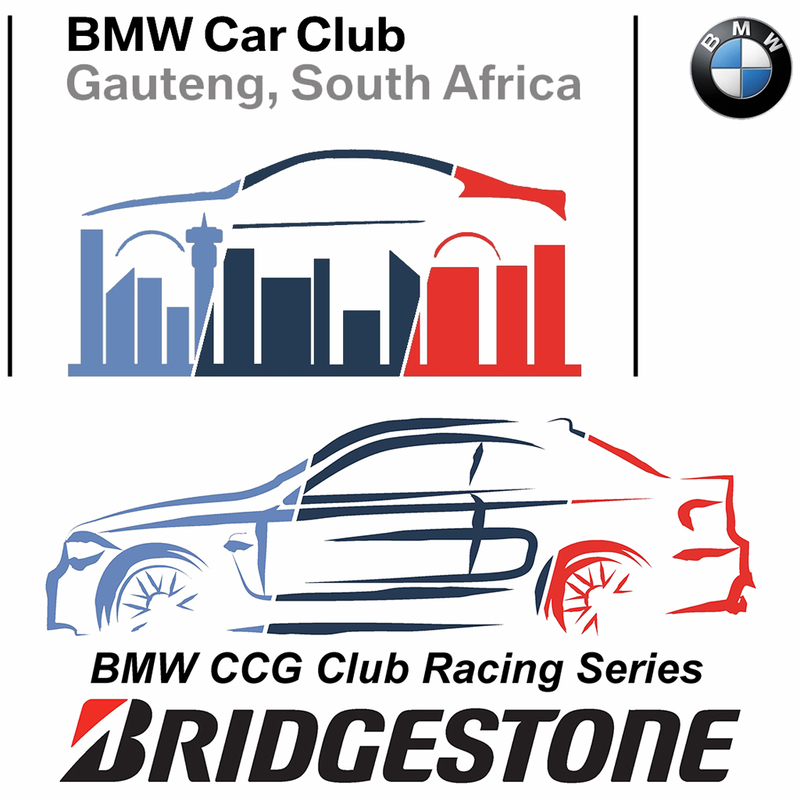 Round 3 of the 2019 GTC2 Championship will take place at the Killarney International Raceway in Cape Town on May 10-11.